And out of that love he gave himself completely to God and His people as God had completely given of Himself in His Son Jesus Christ and as God continues to do so in the Eucharist. 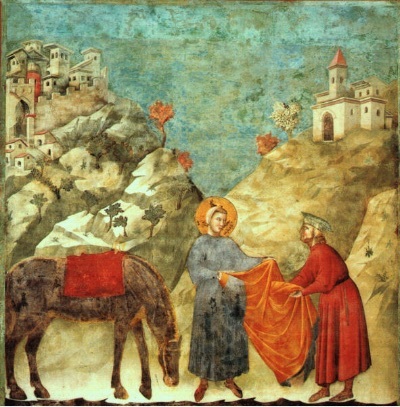 This poverello (“little poor man”) gave away all that he had in order to know and to follow the Lord more closely and his life of Gospel joy soon attracted other men to follow him and live as he did- brothers who shared everything and supported each other on their spiritual journey. 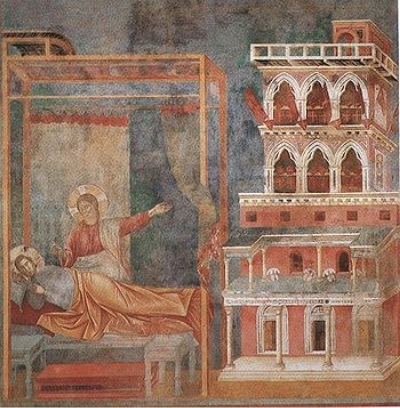 The painting is by Gozzoli. 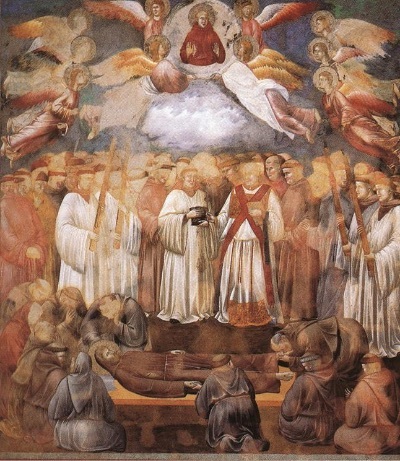 Giovanni di Pietro Bernadone is born and baptized in Assisi, Italy; he is later named Francesco. 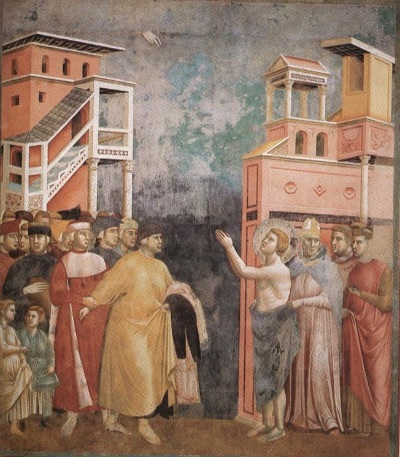 His father is a wealthy merchant and desires that Francis follow him into this profession. 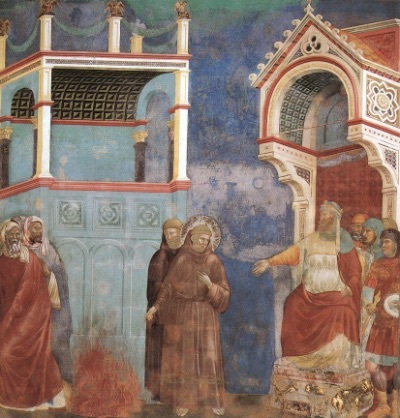 Francis participates in a battle between Assisi and Perugia; he is captured and imprisoned. 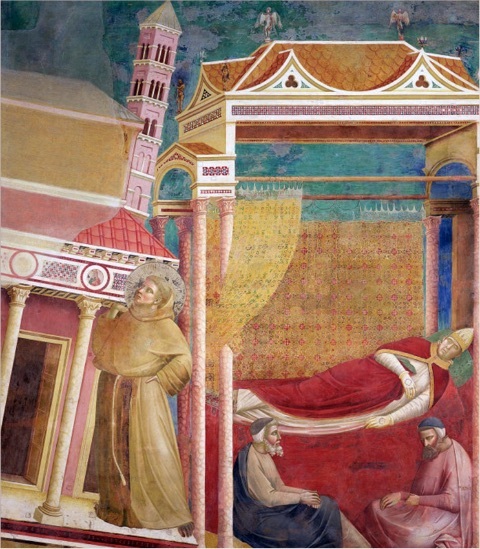 Francis endures a long illness and begins to think about his life- the first stirrings of his conversion. 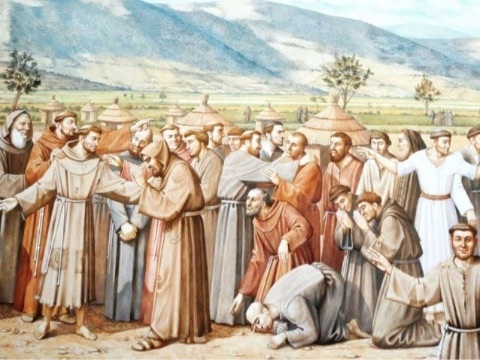 Francis’s conversion to a life of faith begins in earnest- he gives away his possessions to the poor and works with the lepers. 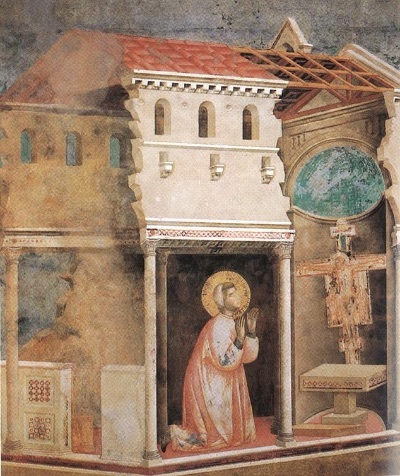 In the church of San Damiano, Francis hears the cross say to him “Go, repair my house, which as you see, is falling into ruins.” He then takes than injunction literally and begins to repair churches. 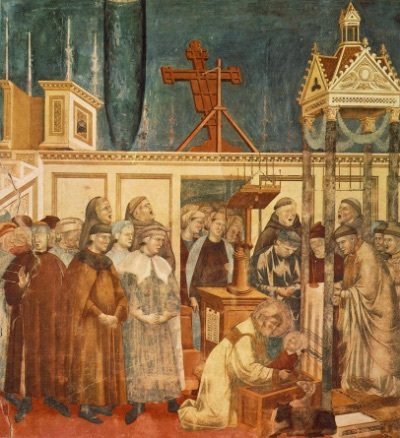 Francis renounces his father and his inheritance and pledges his allegiance to the Bishop and thus to the Church. 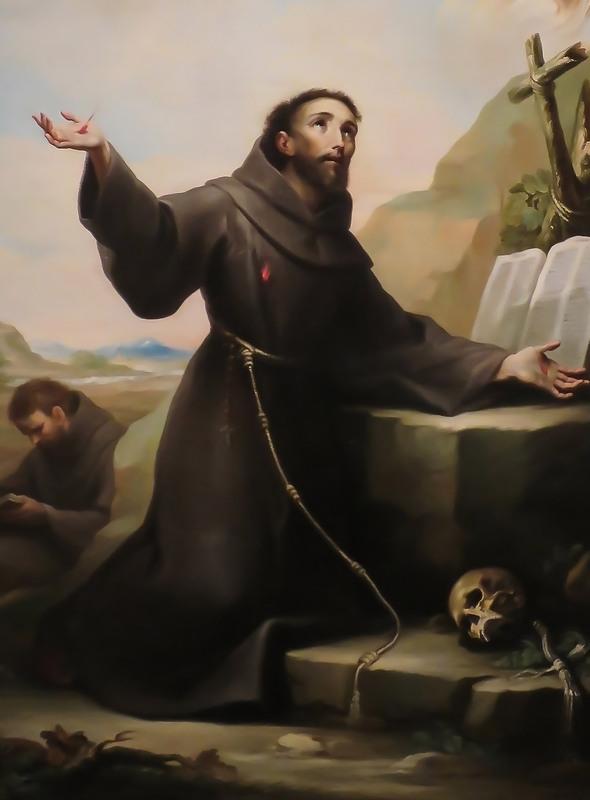 Francis begins to preach repentance and the love of God and of all people; many young men are attracted to what he was doing and join him in his mission; Francis writes a Rule for these followers to articulate his way of Gospel life. After several years of prayer, preaching around Italy and working with the marginalized of his society, Francis has over many thousand followers all over Europe; 5,000 of these brothers convene to be taught by Francis and discuss how God is calling them to live out their vocation. 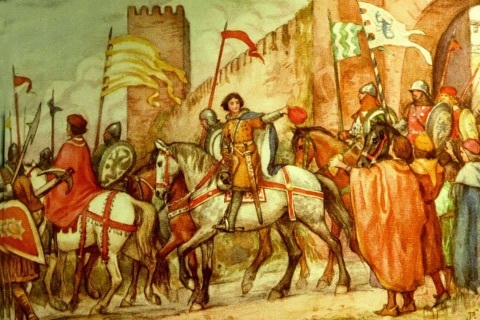 Francis sails to Egypt and wishes to meet the Sultan so that he can share with him the Good News of Christ. 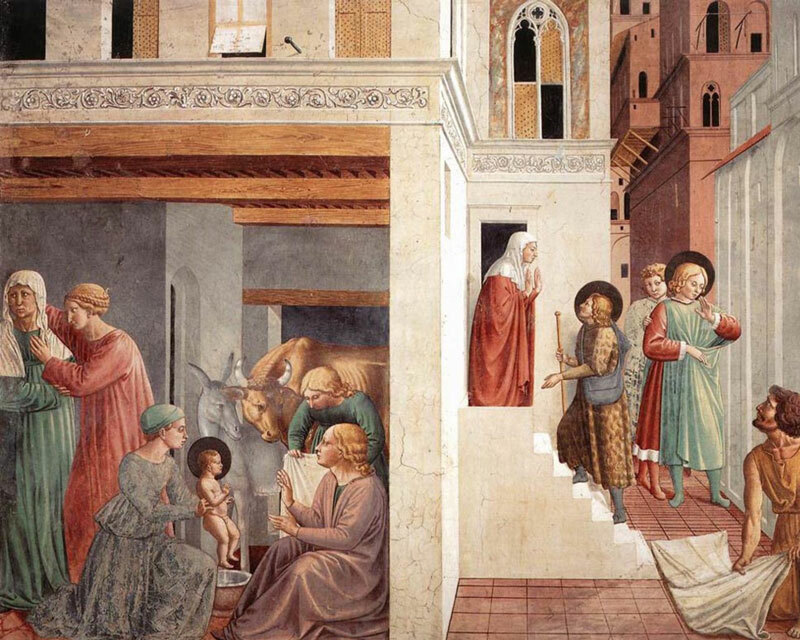 Francis recreates the story of the Nativity of Christ at Greccio; miraculously the Christ child appears there. 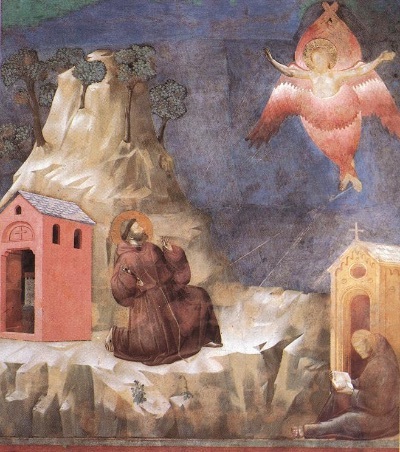 At LaVerna, Francis receives the stigmata (the wounds of Christ), a profound sign of his conformity to his beloved Christ.